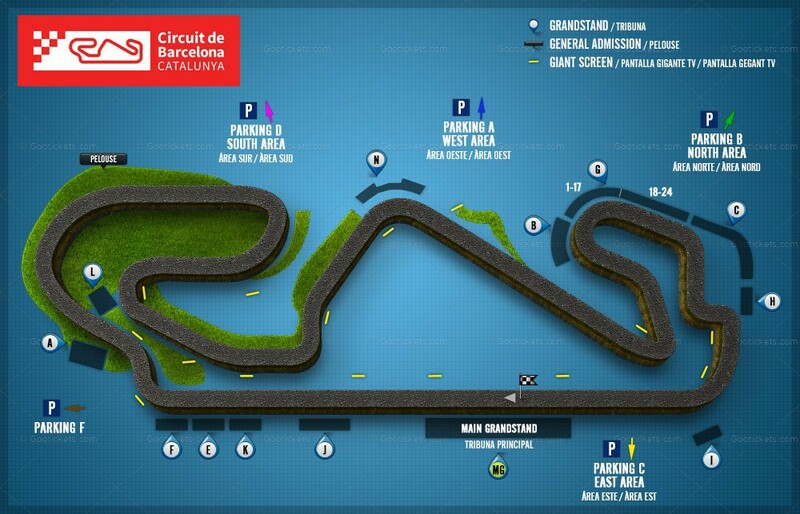 How to get to Circuit de Catalunya race track at Montmeló near Barcelona. The Circuit de Catalunya at Montmeló is the racetrack for international motor racing competitions in Barcelona. The biggest events are the annual Barcelona F1 Formula One Spanish Grand Prix in May and Catalunya MotoGP in June. The sporting calendar of the Circuit de Catalunya also includes several competitions of the Catalan and Spanish Motorcycling and Car Championships, 24 Hours Endurance races, and more. The Circuit de Catalunya can also be contacted for activities in connection with incentive events, presentations and conventions. Activities include quads racing, go-karts, 4X4 circuit and helicopter flights and more. Montmeló is in the Valles Oriental comarca (county of Barcelona. Nearby attractions include Roca Outlet Village. For more attractions in this area visit Valles Oriental Tourist Office. The Montmeló race track was built in 1991 and has hosted the Barcelona F1 Spanish Grand Prix ever since. Before Montmeló was built the Barcelona F1 races were on street circuits in the Pedralbes area of Barcelona from 1951 to 1960ies and on Montjuic hill in Barcelona from 4th May 1969 to 27th April 1975. The Montmeló racetrack is located 28km north of Barcelona, but in a remote location, so most racing fans stay in Barcelona hotels for the Formula 1 race in Barcelona and then take the train or bus to the race. 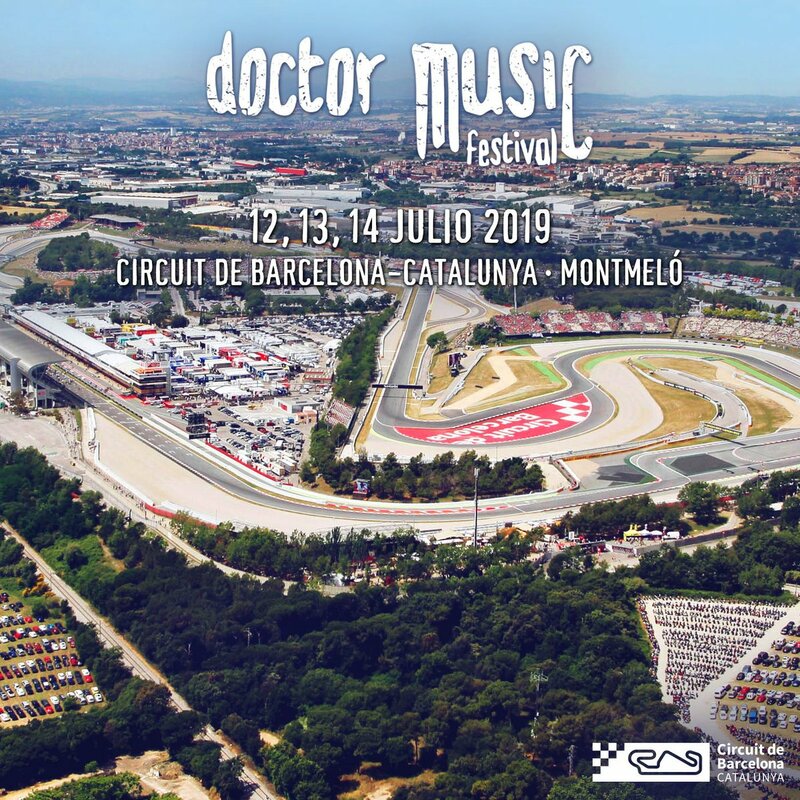 Driving time is 30 minutes from center of Barcelona to Montmeló racetrack, but on F1 race days it can take up to 2 hours or more, so leave early. Parking tickets can be purchased at the racetrack. The parking opens at around 6.30am in the morning but closes at night. For F1 and MotoGP races (but not for F1 test days) there is a GP shuttle bus service by Sagalés bus company which leaves from Estació del Nord bus station on street Carrer de Ali Bei, 80. Journey time to Montmeló from Barcelona is 45 minutes. The nearest metro stations to the Montmeló bus departure point are metro station Girona on Yellow line L4 or metro station Tetuan on Purple line L2. Price return bus ticket to F1 racetrack from Barcelona Estacio del Nord is €15 in 2019. Travel tip: leave in good time because the bus times can be be delayed by heavy traffic going to the both F1 and MotoGP races. Train to Montmeló. Montmeló train station is on the R2 (Line 2) of Spanish Renfe cercanías / rodalies trains from Barcelona to end destination Maçanet Massanes. Train journey time 30 minutes then 25 minutes walking. Take the R2 train from Plaza Catalunya, or Arc de Triomf or Clot stations in Barcelona city center. All of those stations are connected to Barcelona Metro trains. The trains to Montmeló racetrack leave every 30 minutes. When you arrive at Montmeló station it is a 25 minute walk from the station to the Montmeló race track - just follow the crowds for big events like F1 and MotoGP or take the shuttle bus from the station to the racetrack. There is usually a temporary campsite in the racetrack North Area available during the Spanish Grand Prix week.